Bill Baron has been best described by his contemporaries as a "straight shooter" with a quick wit and is praised by many for his artistic talents. Mr Baron is a forty year veteran of the toy game including a tenure at Mego serving as the assistant VP of R&D at a time when the company had seen better times, we were fortunate enough to have Mr Baron sit down with us and share some of those experiences. MM: Before you joined Mego, you had formed your own company didn't you? BB: Yes, I had two partners Mel Kennedy and Deitmar Nagel, who was a former student of mine when I was teaching at the University of Illinois. We met in the toy building and formed a partnership. [Kennedy and Nagel] had been selling products to Azrak Hamway, which was the "arch enemy" to Mego. By the time I had joined them, Deitmar was becoming friendly with Marty [Abrams]. [Marty] sent me while working as an outsider for Nagel, Kennedy and Baron sent me to Hong Kong to put together the KISS line of rack toys. Marty saw what I did and then he hired me. It was really very good for me because I got to spend more time in Asia and figure out what was going on. MM: What were your duties and responsibilities at Mego? BB: When [Marty Abrams] hired me I was Vice President of R & D under [Neal] Kublan and then down the line they got me to take Kublan's place but the company was on it's way down. MM: What do you think was causing that? BB: I think it's a combination of things, I think it's one of those things, the [buyers] you meet on the way up, remember you on the way down. MM: Now you tried to buy the Micronauts rights? BB: Oh yes, I was working for LCI (Editors note : LCI is Leisure Concepts Incorporated) at the time. I thought it would have been a great product to bring back. MM: Around what time was this? BB: I started with LCI around 1991 and left in 1996, my bosses at LCI didn't like the Micronauts at all but I thought "You're crazy man, that is a franchise"
MM: Especially if you could get Marvel Comics to participate. BB: Oh yeah, I mean how the hell could you miss? Even though [Marvel was a] licensee, they really brought that thing over the top. I tell you, the Micronauts, they were doing great. 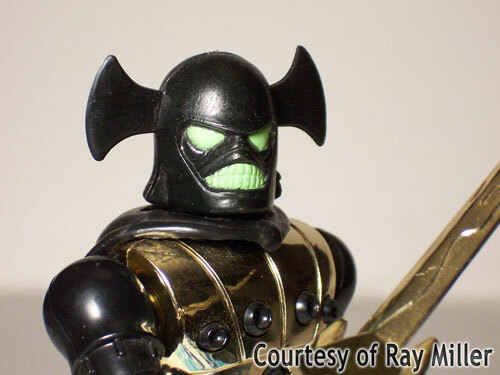 MM: What do you think killed the original Mego run of Micronauts? BB: I think [Mego] should have played more on the Marvel thing. What happened is that they started putting Micronauts in everything, they had some sort of train that blew through a tube that didn't work. (Editors Note: The product Bill is referring to is Rocket Tubes) I think it's franchise where you've got to be real careful and stick to the basics, it was about little figures and they expanded [it] ad nauseam. I think they went into some wrong areas; again this is just my opinion. MM: I noticed at that time Mego was beginning to recycle Micronauts product into the Pocket Super heroes and Buck Rogers lines. BB: Well, that's because we were running out of money. God, we were grasping at straws, I was making models on the weekends. It really had lost it's heart, this momentum I think, had reached it's peak when Marty was appearing in People Magazine. 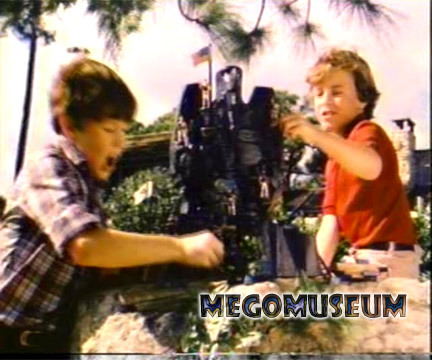 I think [Mego] was already on the way out by the time I went there. MM: Did you keep anything from your days at Mego? BB: I wish I had, I gave most of it away. I still have the Wizard of Oz and some of that stuff. Nothing that is pristine and collectible really. MM: Did Mego have a vault where they kept one of each item? BB: No, I doubt it. I don't think they thought that far ahead. MM: You were on the set of Superman the Movie weren't you? BB: Yeah, Lenny Jacobs (The movies licensor) outfit ran me out there. Chris Reeve was [really ticked off about his licensing deal] and he didn't realize it wasn’t me [who had done the deal] it was Cubby Broccoli. I had to say “Whoa Superman!” (Laughs). He seemed like a really nice guy. Len said to me, “I’d like to take you out there and see what’s going on” This was the set of second movie. It was mainly a PR thing; I took some pictures but the next year Superman really kind of faded. It was a good franchise but you need good product too. MM: Mego didn’t do anything for Superman 2? BB: We had a twelve inch line for the first one but for the second one, I can’t remember what happened. MM: I have read that the first Superman the Movie didn’t do much for Mego sales. BB: No, I don’t think it did, it was a loser. 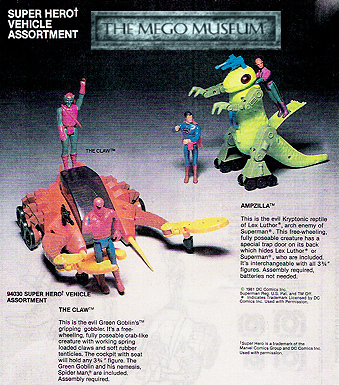 MM: How did the Mego Superhero product sell during your tenure, was it a cornerstone or was it in decline? BB: Well, everything was kind of in decline, there were classics that kept pumping it out but the numbers faded, as I recall. MM: You mentioned earlier that you thought Mego shouldn’t have created Eagle Force ? BB: Well, let me back up, they should have put their guns into something else and this is just as much my fault too. [Mego] wanted to do something military because they knew Hasbro was bringing back GI Joe, so that’s when I came up with the idea of Eagle Force . Make them an anti terrorist group. I did the initial sketches based on Frank the Turkish guard and a Chinese kid who was really into Kung Fu. (editor's note Bill is speaking about two Mego security guards he used as models for early Eagle Force characters "Turk" and "Pot Luck") Paul Kirchner's really the guy who fleshed it out, he wrote some beautiful little comics on the back [of the packages] too. 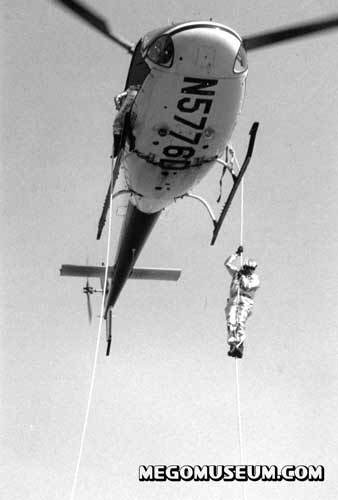 We were desperate and trying to get something going on Eagle Force to help the company. [Myself and Marty Abrams] flew to California along with Stan Weston (father of GI Joe and Captain Action) a guy who had Leisure Concepts sitting behind us. We saw two people that trip, Stan Lee who said, “You ripped off Sgt. Fury and his howling Commandos!” (Laughs) He was just getting into the Hollywood thing. The last place we saw was [Universal Studios]. MM: So you were trying to sell the concept for a series? BB: Oh yeah, we wanted someone to take over the entertainment side of [ Eagle Force ]. I had boxes of models and comics; [Universal Studios] said, “Let me think about it”. MM: Were the Eagle Force a good seller? I’ve heard rumors that they were? BB: I don’t know, about the time that it was out there, the place was going under. 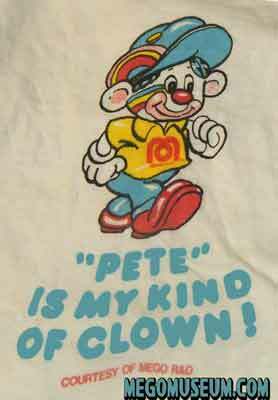 We chased some dumb things too, a guy who worked for me by the name of Pete once said “everybody’s a clown” and I thought “whoa, is that an idea?” And so Pete the Clown [of the Clownarounds] was born and it was just a turkey. BB: My daughter had one on when she was in her late twenties and ran into one of the model maker’s kids in Washington Square Park. Just walking by [the kid] said “Oh my God! Where did you get that?” That was another one of those things where they put a lot of hope into it, they didn’t put much money they were running out of money. MM: Was it meant to emulate the Smurfs? MM: What about the TV lines like Dukes of Hazzard and ChiPs?The Chips thing was really good, Dukes was good but this is all kind of near the end where buyers were not excited about the Mego line. Boss Hogg came to see us at the opening, I brought him up to see Marty and he said “Well, hello Mar-ty!”, he stayed in character. I met him that night, Sorrel Brookes, he’s a Jewish guy from Manhattan, he was a gentleman and I realized I had seen him in a lot of “Up the down staircase”, classic movies like that. He said that he and Uncle Jessie [Denver Pyle] would have to keep the kids in check, not to [screw it up], he'd say "this is a great gig!" Catherine Bach was the sweetie of the show, I got a call from her and she wanted to buy a case of Daisy Duke figures. I said “God they’re too skinny, you’ve got a better body than that” I was kidding with her. We sent her the case gratis. BB: The Funny one is I got a call from Robin, Burt Ward, he’s a mathematical genius I guess. He just wanted to talk about games. MM: So nothing to do with Mego Superheroes? BB: No I think the guy needed somebody to talk to (laughs), brilliant guy. There was a great parade of people and their agents that came in. One of the funnier things was meeting Chuck Barris, I get a call from Marty and he says “bill, come on up here” I walk in and there’s Chuck Barris sitting there. I shook his hand and said “you have given me more yuks”. He had this idea for a “Shut Up Howard” doll about Howard Cosell. It looked like an old woman and when you whacked the head it said “Shut Up Howard” [Marty said] “See if you can get a sculpture made” and I did and it >was beautiful it looked just like a 3 dimensional Jack Davis drawing. It never went anywhere. MM: Interesting concept, so it’s a Sports widow doll? BB: Yeah exactly, I have no idea what happened to it, someone has a nice clay sculpture somewhere. MM: Do you recall anything about the Greatest American Hero line? BB: Yeah, I don’t know why we did that, again, this was so close to the end and it made no difference, nobody was buying from us. Everybody knew Mego was in trouble. MM: I remember you mentioned to me you were responsible for the creation of the Micronauts Emperor figure? BB: The Italians came in ( GIG who distributed for Mego in Italy) and nobody understood the kind of market there was over there in Italy. It’s enormous for toys, it just has to be the right toy. The packaging is different because they don’t have vandals like they do in the states, the kids going to want to open the package, look at it, examine it and make their decision whether they’re going to buy it or not. [GIG] wanted a new design for Baron Karza, instead of going to the parties during toy fair, I stayed at home and did some sketches. I told them, “Come back the next morning and I’ll do something tonight” Oh my God, to this day, John Franco (of GIG toys), to this day he remembers [that]. MM: GIG did a fantastic job with some of the Mego lines. BB: Yeah they did, excellent, like [The Emperor] they did 400,000 pieces of this thing and that’s big business in toys! MM: Just that one single figure? BB: Just that one figure and it was manufactured by Lionrock, so they made their profit and Mego states got a piece of it somehow. Probably through the license deal. I don’t think [Mego] took it seriously enough, the impact that the Italians could have. They were a real force. MM: They even seemed to sell the Black Hole better than Mego? MM: I guess the Black Hole was a major disappointment for Mego? BB: Was it ever, I knew it when I saw the Robots with those eyes! MM: What were your favourite Mego lines to work on? BB: Eagle Force & Buck Rogers in that order. MM: Buck Rogers was featured in three Mego Catalogs, was the line a hit? BB: Absolutely, However when we saw the movie intro we were ready to drop the license because we thought, based on the movie, that it would be a turkey. Then we saw exit polls in the major cities and saw that the kids loved it. MM: Why were the figures designed so the guns could not be removed? Was there an issue with toy guns? BB: No, it was probably a cost issue. MM: Are you surprised that 35 year old men are emailing you with questions about a long passed toy company?